Many men do not realize that they have a choice when a physician recommends a prostate biopsy. Often they sit there in shock when told that they will need a biopsy. This scenario is played out over a million times annually though out the United States each year. The fact that alternative diagnostic procedures are not discussed or even brought to the patient’s attention is amazing. It is important to note that medical practitioners have relied upon prostate biopsies since the first one performed in 1930. A lot has changed in eighty years however the prostate biopsy is still the most relied upon diagnostic procedure. Today revenue generation from prostate biopsies is estimated at 3 billion dollars annually in the US. If you have ever found yourself facing a biopsy you may be surprised how most health care providers fail to discuss the alternatives to a prostate biopsy. In addition no one ever discusses the fact that men who undergo a prostate biopsy often experience side effects due to the procedure itself. 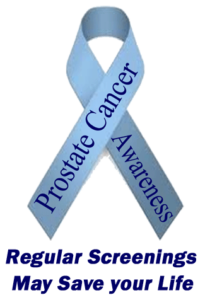 Prostate cancer is serious and statistically it is projected that one in six men will be diagnosed with prostate cancer. Within this group of men ten percent will have a life threatening or dangerous form of prostate cancer. Prostate cancer is the second leading cause of death related to cancer. 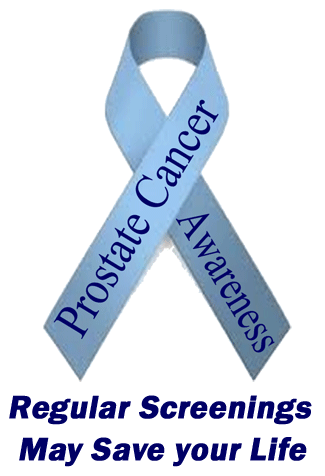 In 2010, it is estimated that 32,050 men die annually from prostate cancer in the United States. The most common test for a prostate cancer screening is a blood test known as the PSA (prostate-specific antigen) test. This may be in combination with or without a DRE (digital rectal exam). When the results of these tests indicate the possibility of cancer it is currently common that medical professionals will proceed or recommend a prostate biopsy. A prostate biopsy is an invasive procedure that involves a series of needles and puncture wounds to the prostate. Most men fear a biopsy of the prostate due to the fact that in the event cancer is present research has discovered that the biopsy increases inflammation and the progression and spread of cancer. Additionally the biggest risk of this invasive procedure occurs when the tissue samples, obtained via puncture of the prostate gland, miss the cancerous tissue. Only 75 percent of cancers are detected via a patient’s initial biopsy. Often this leads to multiple invasive biopsies generally spaced from 6 weeks to three months apart. Typical costs associated with a prostate biopsy, include both a physician fee and a laboratory fee, generally ranging from $1500.00 to $3200.00. It is not that uncommon to have multiple successive prostate biopsies. Obviously these biopsies are lucrative for the medical professional performing the procedure and for the laboratory processing the tissue samples. Men who elect to proceed with the biopsy often experience erectile dysfunction and increased urinary problems. The actual biopsy procedure has been shown to predispose men to side effects such as difficulty urinating and increased waking due to nighttime trips to the bathroom. The degree of side effects actually increases substantially post the biopsy procedure. Only 10% of the men before the biopsy reported severe side effects. One week after the biopsy the percent of men reporting severe side effects increased to 18%. By week 12 post the biopsy almost 30% report severe side effects. In addition to severe side effects, 39% report less severe or moderate side effects post the biopsy procedure. Today there is an alternative diagnostic procedure to an invasive prostate biopsy. Similar to the traditional Sonogram, also known as ultrasound, which is a familiar diagnostic test performed on pregnant women due to the fact that it is safe for the unborn child. The biggest difference is that the typical sonogram is not in color and the area of administration. A Power Color Doppler Sonogram (3D CDI-TRUS- ‘Three dimensional color Doppler imaging – trans-rectal ultrasound’) can be performed on the prostate and it is painless, safe, and not surgically invasive. Clinical literature substantiates that the 3D CDI-TRUS is a diagnostic technique with excellent sensitivity (0.82) and specificity (0.91) for detecting prostate cancers, even if PSA levels might not be elevated or are within the grey zone. This diagnostic technique reduces unnecessary biopsies in men with elevated PSA levels without violating cancer detection. The estimated cost of this procedure is about $500. The 3D CDI-TRUS takes less than an hour to perform and can be performed in your doctor’s office. Recovery from this procedure is instantaneous, so you may return to work the same day. Generally, 3D CDI-TRUS procedures are performed by interventional radiologists. Another alternative non-invasive evaluation for prostate cancer can be performed with a standard MRI (Magnetic Resonance Imaging). The MRI’s accuracy is 89%. Despite the fact that an MRI tends to over-stage the tumor; most physicians feel that an MRI does not provide added information over the results available from surgically invasive prostate biopsies and PSA data. Recent development and use of MR Spectroscopic Imaging (MRI-S) expands the diagnostic assessment of prostate cancer beyond the traditional information provided by a standard MRI. [3,4,5] This newer technology MRI-S uses multiple coils to provide a better image of the prostate and cancerous tumors if present. There are options to the surgically invasive prostate biopsy. Unfortunately it is up to you to know what they are. You should discuss these options with your health care provider. It would be wise to substantiate your discussion with the cited articles below. 3. Kurhanewicz J, Vigneron DB, Hricak H, et al: Prostate cancer: metabolic response to cryosurgery as detected with 3D H-1 MR spectroscopic imaging. Radiology 200:489-96, 1996. 4. Parivar F, Hricak H, Shinohara K, et al: Detection of locally recurrent prostate cancer after cryosurgery: evaluation by transrectal ultrasound, magnetic resonance imaging, and three-dimensional proton magnetic resonance spectroscopy. Urology 48:594-9, 1996. 5. Kurhanewicz J, Vigneron DB, Hricak H, et al: Three-dimensional H- 1 MR spectroscopic imaging of the in situ human prostate with high (0.24-0.7-cm3) spatial resolution. Radiology 198:795-805, 1996. Additional information about Prostate Health can be found at http://www.bestprostatehealth.com and information about Best Prostate can be found at http://www.bestprostate.com.